Sonequa Martin-Green at the 21st Costume Designers Guild Awards. While everyone knows that the humans are really the backup stars of the Space Jam franchise, that doesn’t mean that the upcoming sequel isn’t going to be stacked with live-action talent. 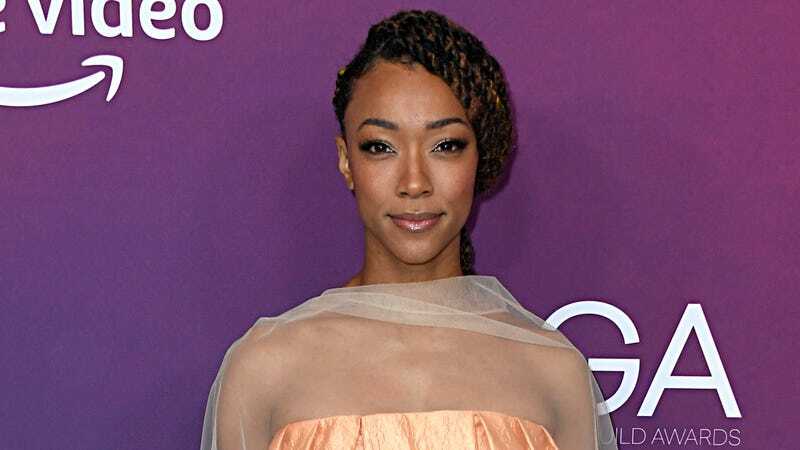 Variety reports that Star Trek: Discovery’s Sonequa Martin-Green is slated to join the cast of Space Jam 2 as LeBron James’s wife, which means that there’s more than a solid chance that she’s going to end up interacting with the Looney Tunes in some capacity. It’s a far cry from The Walking Dead or outer space, but given the roles Martin-Green’s played in the past, she’s going to fit into Space Jam 2 just fine when the movie hits theaters July 16, 2021. No, really. They&apos;re making Space Jam 2.